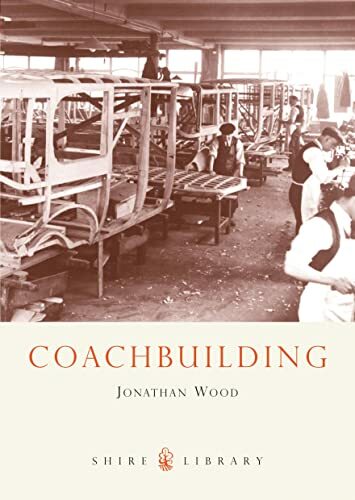 This account examines the history of coachbuilding, beginning with the coachbuilders who for generations had built horse-drawn wooden carriages, and explains how they turned their craft to building the bodywork of the first motorised cars. Using photographs of the different stages of coachbuilding, the author describes the materials, equipment and key techniques involved. Today the profession of coachbuilding is almost a lost art, yet as the restoration of vintage cars seeks to keep the trade alive, this book reflects back on the heyday of the coachbuilt motor car and the skilled workers that made it their craft. The author of some thirty-five books on the motoring of yesteryear, Jonathan Wood has made a particular study of the histories of Britain's multifarious car makers. He has received the Guild of Motoring Writers' Montagu Trophy and the Society of Automotive Historians' Cugnot Award.